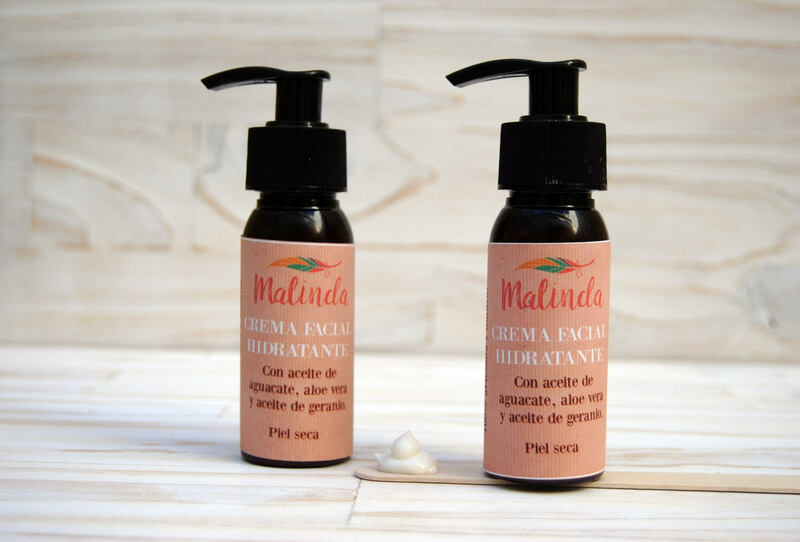 Crema hidratante piel normal-seca con aceite de Aguacate, Aloe Vera y aceite de Geranio. Cuidarse por dentro y por fuera...esa es la cuestión. Facial moisturizing cream, light and silky texture and easy absorption. Emollient and humectant for normal, dry or sensitive skins. 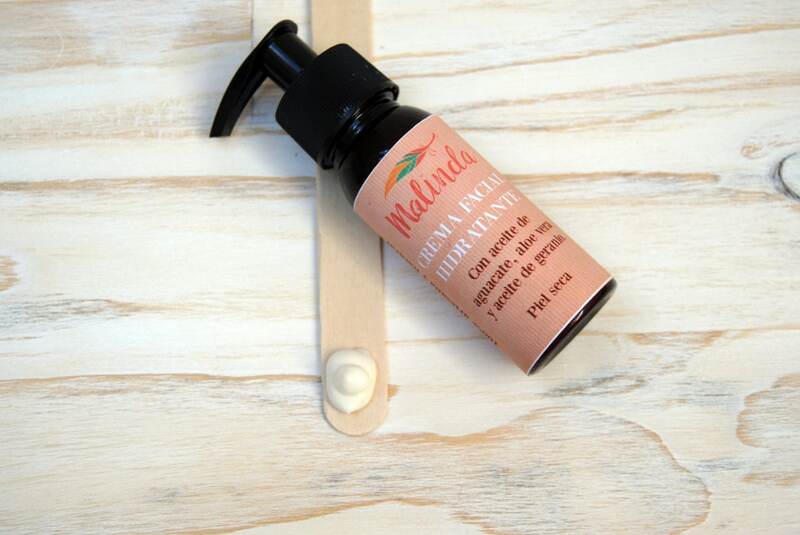 Made with coconut, jojoba and camellia oils for an intense hydration. Cacao and shea butter for deep nourishing and avoid dryness. Enriched with Aloe Vera, vitamin E and B5, silk and essential oils of rosewood and palmarosa which gives a nice fragrance at the same time they care your skin. 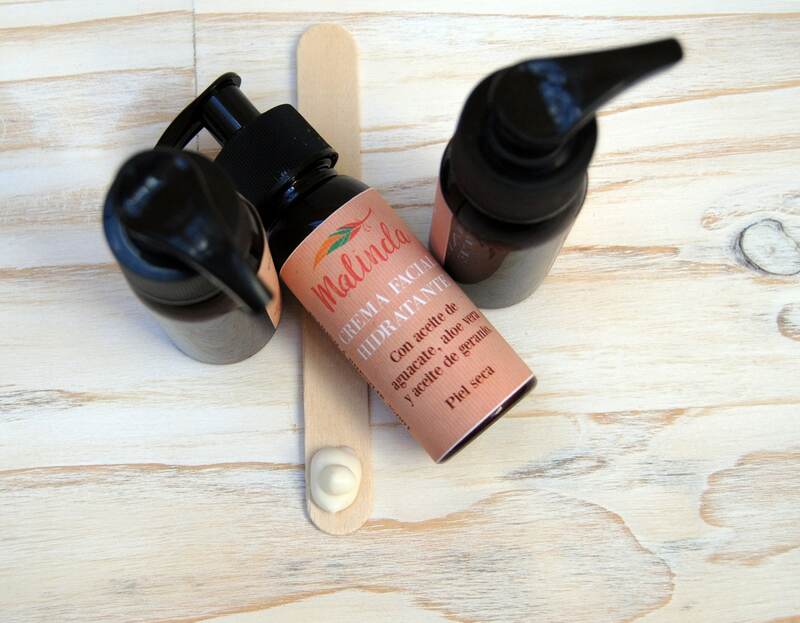 The ingredients are a luxury to your skin, 100% free from parabens and chemicals. Eco friendly. Apply in the morning and/or in the night with the skin clean. It doesn't leave oily feel. Bottled in a 50gr-60ml dispenser, for a easy application and to avoid contamination in the product, preventing from bacterias and dirt. 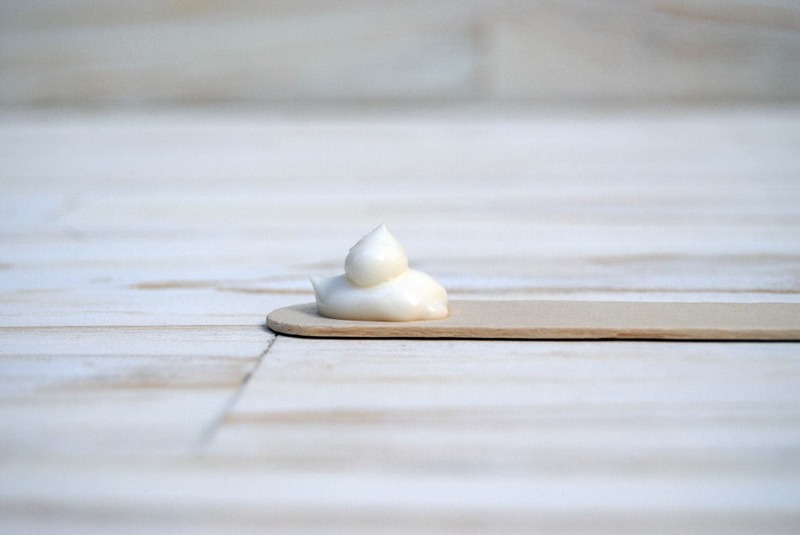 As it is a natural product, it is recommended to use the product in the next 6 months after opening. INCI : Aqua, caprylic Triglyceride, Butyrospermum Parkii Butter, Glyceryl Stearate, Theobroma Cacao seed butter, Cera alba, Glycerine, Chinensis fruit oil, Camellia sinensis seed oil, Persea gratissima oil, Hydrolyzed Silk Protein, Coco-Glucoside, Xanthan Gum, Aloe Barbadensis Leaf Juice Powder, Pro-vitamin B5, Tocopherol, Lactic Acid, Dehydroacetic Acid.